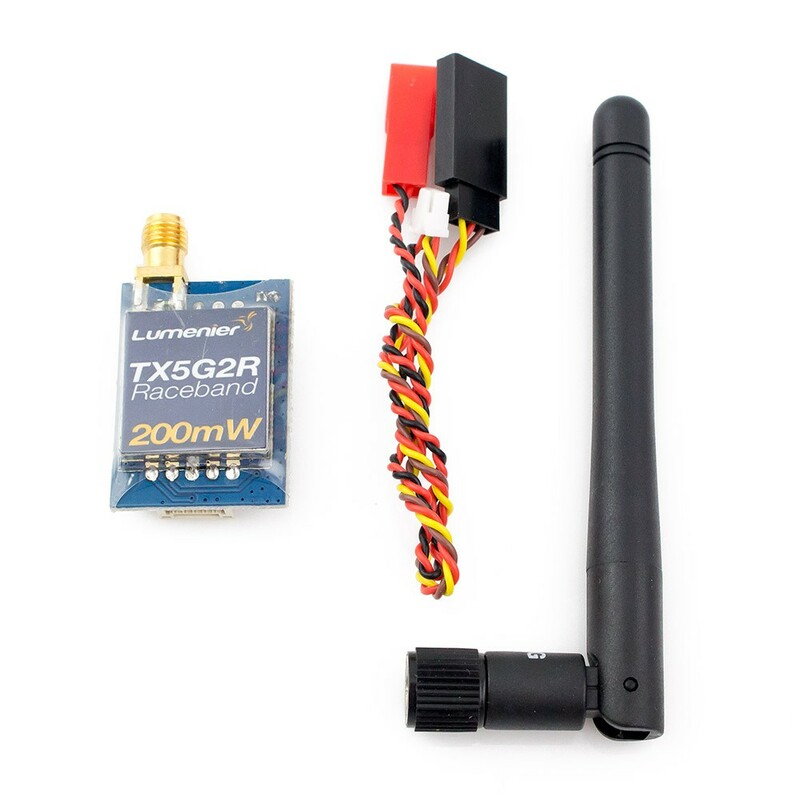 The Lumenier TX5G2R Mini is a light weight 200mW 5.8GHz FPV Racing Transmitter. 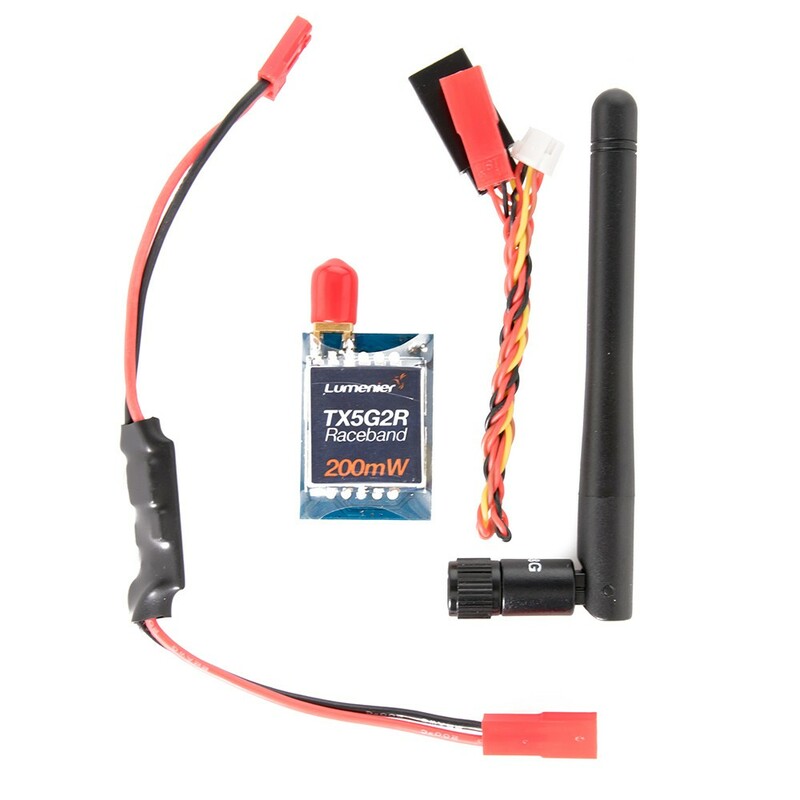 The Lumenier TX5G2R Mini 200mW 5.8GHz 32CH FPV video transmitter is the perfect VTX for FPV racing! The 200mw transmission power is a good medium power ouput meaning more pilots can fly together without overpowering each other on close frequencies while still getting decent range. 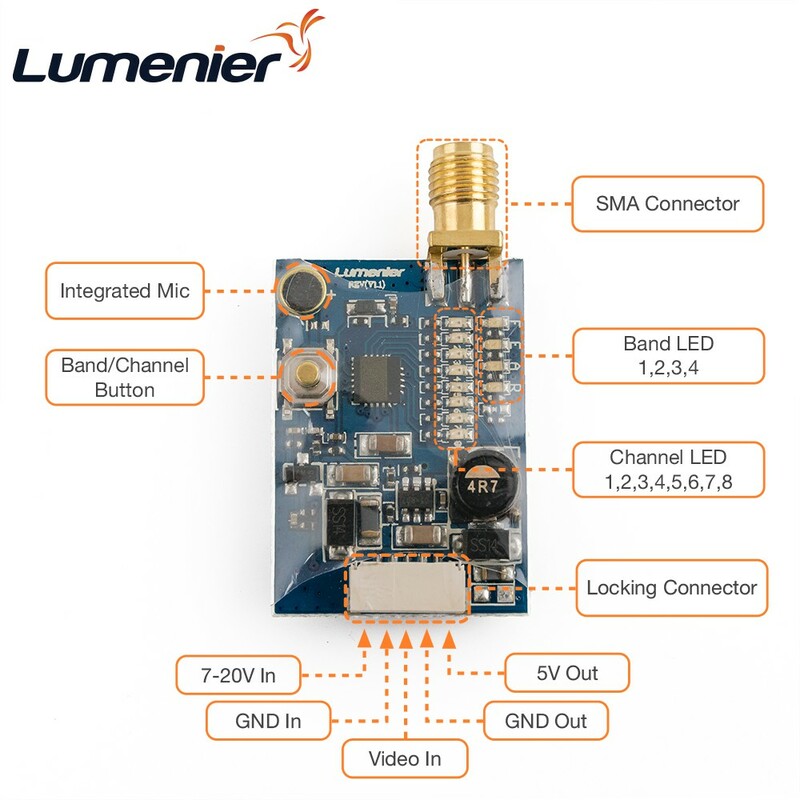 The TX5G2R has 32 channels including the new Raceband frequencies. Our friends from ImmersionRC first divided the 5.8 band into 8 channels evenly spread out 37MHz from each other, which allows more racers flying at the same time on the same band. 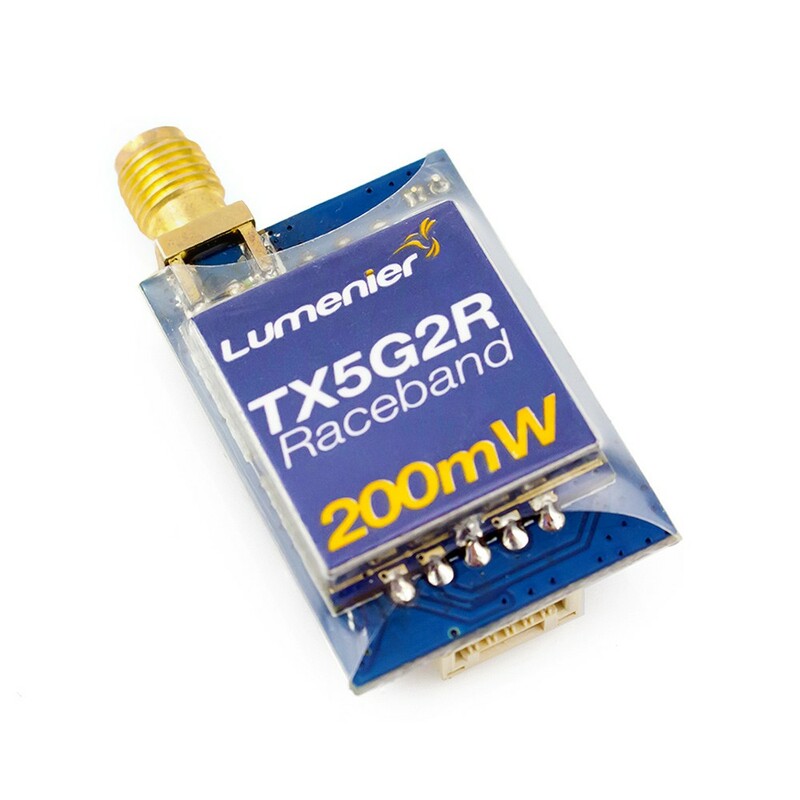 Lumenier Raceband transmitters are fully compatible with FatShark and ImmersionRC receivers. 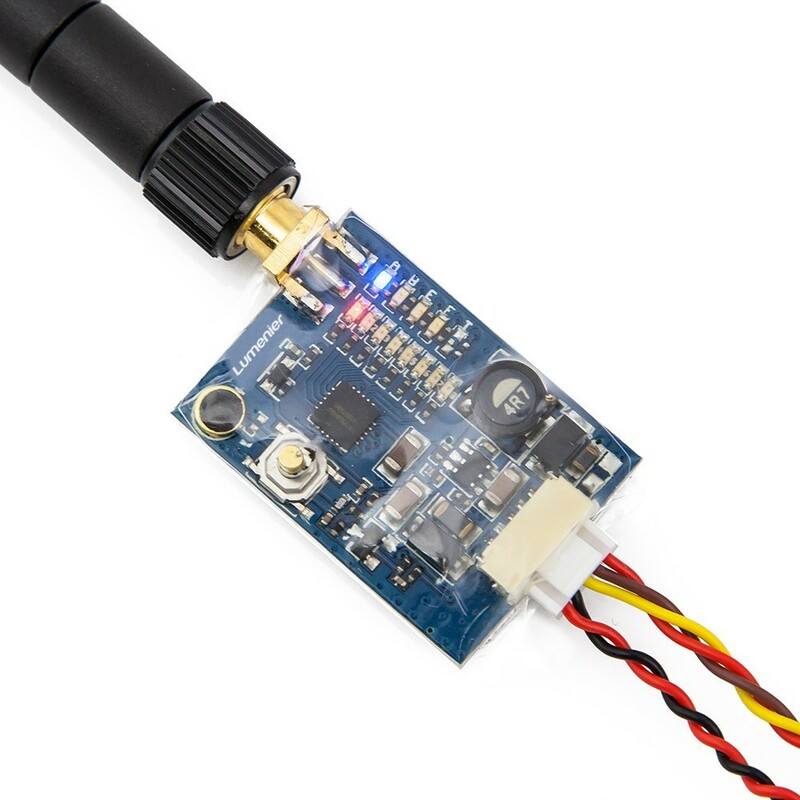 The Tx includes a 5v output to power FPV cameras and an on-board microphone to transmit audio to your receiver. 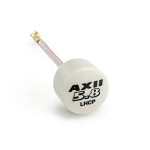 The TX5G2R features an easy to use single button, LED interface. 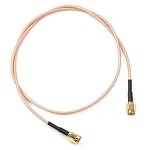 It also comes with a clean pre-wired harness, and only weighs 7.5g! It stays cool to the touch during operation, so you don't have to worry about it overheating in a crash. 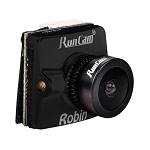 Compatible with Fatshark, ImmersionRC, Boscam, Foxtech and other generic branded FPV receivers within the same frequency range. Locking connector, female JST for voltage in, female servo plug for video and 5v out. *Note: TX antenna must be installed properly before it is switched on. 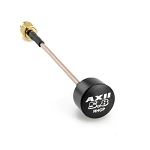 Powering on without installing an antenna, or using an improper antenna may easily burn the TX, and such damage is not covered by warranty. 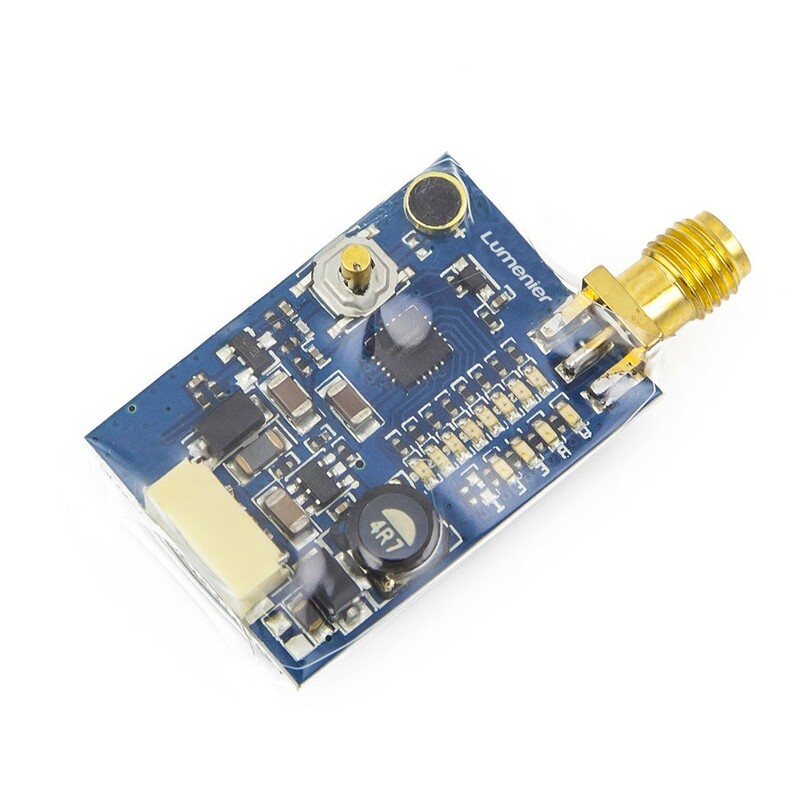 When using this transmitter on builds with ESC's that feature regenerative braking, we strongly recommend powering the transmitter with the included 12V step down regulator to protect it from voltage spikes.